At the 2012 Intermot Motorcycle Show, Yamaha unveiled something entirely new that would soon “shape” its product lineup – an inline three engine. The triple was completely different to Yamaha’s world. From the Japanese motorcycle manufacturer’s first street bike – the 1955 YA-1 125cc 2-stroke – to all 2013 models, Yamaha has never built a production triple. 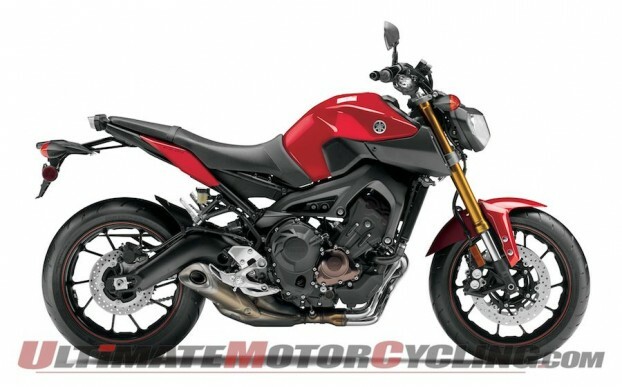 And finally, Yamaha highlights that the new FZ-09 will be offered for $7,990, almost $1,000 cheaper than the FZ8′s MSRP of $8,890. Apart from the XS750 and XS850 of the 70’s which I am sure were production motorcycles and also pretty sure only had 3 cylinders. Should be a good bike though if it can match the Triumph Triple’s level of smoothness and refinement.